Vitamin C | Eat Meat. Drink Water. One of the most common questions people ask when they first hear about the all-meat diet is, “Where do you get your vitamin C?” Since a vitamin C deficiency leads to scurvy, a very serious and ultimately lethal illness, it is a perfectly understandable and legitimate line of inquiry. None of the long term practitioners of an all-meat Zero Carb diet that I have interviewed take any supplemental vitamin C. None of these individuals have experienced any symptoms of vitamin C deficiency, even after 2-18 years of eating this way. If you wish to read the dietary details of some of these individuals, please see my page with links to all of the Zero Carb Interviews that I have published to date. There appears to be an alternative biochemical pathway for preventing scurvy that occurs when one is eating a fat-burning ketogenic diet, as opposed to a sugar-burning glucogenic diet. While the mechanism of action is not entirely clear, it is considered to be an established fact. Dr. Stephen Phinney has speculated that the blood ketone beta-hydroxybutyrate may itself be the anti-scorbutic factor. 1. Two men (Stefansson was joined by Andersen,a colleague and friend, in the study) lived on an exclusive meat diet for 1 year and a third man for 10 days. The relative amounts of lean and fat, meat ingested were left to the instinctive choice of the individuals. For further details and a complete discussion of this very interesting clinical study, please see the paper “Prolonged Meat Diets with a Study of Kidney Function and Ketosis” by Walter McClellan and Eugene Du Bois, published on February 13, 1930 in The Journal of Biological Chemistry. Stefansson and his comrade Andersen did eat some of their meat cooked “rare” in this year long study. They also included some organ meats (liver, brains, kidneys), as well as raw bone marrow from time to time. Therefore, it is certainly possible that a small amount of vitamin C was present in these raw or lightly cooked animal foods. It has been shown that when a person’s diet is very low in carbohydrate, the vitamin C they do consume is much better absorbed than when eating a diet high in carbohydrates – so a much smaller amount might be sufficient to prevent scurvy. However, the fact remains that most of the Zero Carb-ers I have interviewed do not consume any organ meats or raw bone marrow, and many seem to prefer their meat cooked longer than “rare.” The best case in point is The Andersen Family. They have been eating a diet comprised almost exclusively of ribeye steaks cooked medium to medium-well for almost 2 decades. They take no vitamin C (or any other supplements for that matter), and they have never shown any symptoms of scurvy or other vitamin deficiency diseases. The Andersen’s all had blood work not too long ago when they changed insurance providers and every thing came back great. Apparently none of them have issues with the amount of iron they are consuming. However, it might be wise for anyone doing this diet to be tested and make sure they do not have iron storage issues. However, the problem with over absorption of metals in the body is their storage in the brain, not the blood. It can be that these blood tests do not reveal how much metals are in the brain. Alzheimer’s disease is said to be caused by metals stored in the brain, particularly the oxidation of these metals in the brain. Although The Anderson’s have been eating mostly meat for two decades, that may still not be enough time to evaluate their disposition to developing Alzheimer’s. All valid points. However, I believe that high insulin and high blood sugar are much more involved in Alzheimer’s disease than are heavy metals, though the two might have some sort of synergistic effect. So, low or zero carb would eliminate at least part of the equation. Hi. Wouldn’t the high levels of protein in these diets lead to glucose production, raised insulin levels, and consequently vitamin C intake through GLUT 4 channels? I am wondering about vitamin C uptake (and recycling in the cell) if there are persistenly low levels of insulin, as in lchf diets. No, higher protein does not covert to more glucose. That process is demand driven, not supply driven. There is no vitamin C in muscle meat, so there it seem that on an all meat diet we don’t need it. The reason why this is remains a mystery. I wonder why sailors in the 1600’s got scurvy from all meat diets? This was the reason why Capetown in SA came into existence, the Dutch established market gardens there to provide vegetables to passing ship because the sailors on ships rounding the cape were getting sick with scurvy. Another thing, I asked myself the question, ” what happens to excess protein?”. The research seems to indicate that there is only one way for it to be dealt with, and that is to make glucose which is then stored as fat in the fat cells! This is why meat causes an insulin response? The first question is easy to answer. The meat was salted and preserved, not fresh. The second question has been addressed many times in our Facebook group Principia Carnivora. If you join, you can search the group using the key words protein and gluconeogenesis. The quick answer though is that GNG is always demand driven, not supply driven. Futher their diets were always based on small amounts of salted beef, and heavy in flour based hard and soft tack, suet puddings, and whenever they could get fresh meat, all signs of scurvy disappeared. I’m not so sure that the first answer holds up to scrutiny based on the proposed reasons that all meat diets may not increase scurvy risk stated in the above article. Unless of course preserving the meat would break the hydroxyl groups from the proline and lysine. I know of no such phenomenon, but that doesn’t mean it’s not a real thing. And anyway, the article seems to imply the more significant mechanism for vit C sparing on carnivore diets is the lower tendency to trigger rises in glucose and insulin (which we should admit is a more nuanced issue than just whether or not carbs are present in the diet), but I can’t think of a reason why that would be different in salted and cured meat than in fresh meat. All I’m saying is that I’m not sure the answer is as easy as what you stated. Ketonan’s answer below that “their diets were always based on small amounts of salted beef, and heavy in flour based hard and soft tack, suet puddings” seems to provide an explanation more consistent with the research and mechanisms presented in the article. Not trying to be a jerk, just sayin’. I don’t think we really know, Jordan, but perhaps Amber O’Hearn’s more recent article provides some new insight. It seems that fresh meat may indeed have small amounts of vitamin C, but the USDA has simply never tested it and, thus, says it has “zero” when in fact they don’t actually know. First off, hello Esmee, I’m the nutritionist in the Facebook group that’s always posting scientific studies on nutrition. Second, this statement from a commentor needs clarification on a massive scale and I hope links are okay to post. Sailors developed scurvy from months of time at sea in which they ran out of meat and survived on hardened wheat flour biscuits called hard tack. They were NOT consuming an all-meat diet. Had they been on an all-meat diet, they’d have been fine. Makes you wonder why the idjits didn’t catch and eat fish that whole time instead of eating grain, known to cause disease but not known in that period. They only ran into the problem of scurvy months after living on pure grain and nothing else, because it was the only thing to survive storage for that long and they used up meat. They, stupidly, removed bugs and such from the hard tack, and those critters could have spared them some agony because insects and grubs are an excellent source of vitamins and minerals while the hard tack was not. Preservation or salting of meat makes no difference in this equation when they weren’t even eating it at the time they developed the disease. It was a disease of pure grain consumption, which is known by and large to cause severe nutrient deficiencies and collagen breakdown. They also drank a lot of beer and that is a known factor in systemic disease and nutrient deficiency. Hard tack was “important”, or postulated to be, until canned foods came into the picture, which made meat more accessible and thus made sea travel easier because of the better preservation practice. All cultures, anthropologically, suffered chronic “modern” diseases often pegged on meat consumption, but are, in fact, the result of grains and legumes in the diet, as well as sugar and alcohol. You are correct about towns being created for fresh fruits and vegetables for passing sailors. They wrongly attributed their disease to lack of fruits and vegetables because at the time, they didn’t know there were peoples living solely on meat and thriving, like the Inuit and Masaai (or whatever was there at that time, but these people have been around for a while). At least they found a way to stop the scurvy deaths. The thing the first article gets wrong is the wheat containing protein, vitamins, and calories. Yes, it contained protein – bonded to protease inhibitors preventing protein digestion. Yes it contained vitamins – ones that seriously weren’t all that important and were of higher quality in meat. Yes it contained calories – in the form of pure starchy sugar and nothing else. They were basically causing themselves diabetes and interrupting the vitamin C pathway so any vitamin C they could have gotten from their microbiota, which produces trace vitamin C, was not used because the raised blood glucose prevented it. So literally, their hard tack diet was killing them and lack of meat was adding to that. As for protein, the author answered this: gluconeogenesis, unless broken by some pathway, does not equate to turning protein into pure sugar and does not get stored as fat. The Inuit and others subsist on the fats of animals with their protein and this buffers proteins. Also, the insulin reaction of protein is not the same as glucose. Insulin on glucose is an emergency response to keep glucose from poisoning us. We have a limited glycogen storage, but a vast fat storage, so the body turns glucose into fat to store it as a safer product – that quickly becomes too much and then disease begins to happen. This is caused by high carbohydrate. Insulin for protein ingestion is a reaction that is combined with multiple other hormones including growth hormone and glucagon which cause lean mass growth and leads to increased muscle mass. This does not cause fat storage and neither does fat (there are exceptions with broken metabolisms). Thank you very much for taking the time to clarify and share all of this information. Much appreciated! Good point about collagen – and it can be expanded further. Ascorbate is also required to synthesize carnitine and creatine. No prizes for guessing which foods supply those. Captain Cook was one of the pioneers of the fight against scurvy, travelling around the world in the 1760’s and 1770’s without any cases. He identified 3 foods as having anti-scorbutic properties – fresh greens, fresh fruit, and fresh meat. Any one of these 3 was sufficient. He also fed his men sauerkraut when these fresh foods were not available. Carnitine deficiency is said to cause the fatigue and depression associated with scurvy. Have been arguing with my scientist hubby about this point for months! THANKS so much George for your post! Hi Kelly, yes there is a big reason. Unfortunately many people in the vegan community have been harassing the Andersen’s for their dietary practice, through social media as well as their private home mailing address. They were concerned for the safety and wellbeing of their children. We hope to do an interview with just Charlene in a few months after things calm down. There is actually a fair amount of magnesium in meat. Two pounds of Chuck roast has 185 mg of magnesium and only 50 mg of calcium. Beef is very low in omega 6, however chicken and pork are somewhat higher. This is due to the fact that cows are herbivores, while pigs and chickens are omnivores. They have very different digestive systems. When beef is raised on grains (high in omega 6), very little of it gets transferred into the fatty tissue of the animal. But when pork or poultry is raised on grains, quite a bit of the omega 6 present in the grains gets transferred into the fatty tissue of the animal. I believe this may be why many people find pork and chicken to be far more inflammatory than beef. Longer term Zero Carbers like The Andersen’s have thrived on a beef only high fat diet. In fact, they not only healed Lyme disease, but they went on to produce two very healthy boys who also eat only fatty beef. This tells me that an all beef diet is certainly healthy and nutritionally complete in the long term, as they have been eating this way for almost 2 decades now. Hi Esmee, another question I have is where the Andersens would get folate from. I’ve read folate is mostly available in green vegetables, beans, and liver. Do the Andersens eat liver, if they do not eat vegetables? The Andersen’s do not eat liver and they do not eat eggs (yolks are another good source of folate), but they suffer no deficiency symptoms. So, it may be that once plant foods are removed from the diet, our requirement for folate goes down. It would be interesting to see what their blood levels are of folate, but they will not submit themselves to any tests like this unfortunately. It would be fascinating to know. I totally understand their not wanting to have testing; I think the medical community is something to be avoided as much as possible. I don’t think M.D.s are much help whatsoever when it comes to chronic conditions…they are mostly useless. I read recently that meat does conatain vitamin C, as long as it’s fresh (ascorbate in it’s natural for is easily broken down when exposed to oxygn or light). I am looking for the source where I learned this (it seemed very legitimate). The name was not ascorbic acid but something a little different from that. I found it while researching vitamin C deficiency in cats. I will look for the source again and post it if I find it. Please do. I know long term ZCers who eat well-cooked meat and still experience no symptoms of scurvy. An all meat diet may prevent scurvy by some mechanism other than vitamin C. Vitamin C deficiency has never been proven to be the cause of scurvy, though has been shown to cure scurvy. My husband and I did the Spectracell Vitamin test about one year after stopping a Vegan Diet and eating a mixed diet. (We are now LCHF – 5 years) We felt that the results reflected inadequacies we either expected or were not surprised by. That was 5 years ago. Would love to repeat it but as it is not covered by my insurance…it is at the bottom of my list. Regarding Vitamin C. Dr. Richard K. Bernstein, Diabetologist, (My husband has Type I Diabetes and we began following his protocol 5 years ago.) does not recommend Vitamin C Supplementation. He found that high doses created High BG readings. When I heard his comments on that he thought it had to do with the BG strip being sensitive to the Vitamin C. I know better now since reading the above mentioned article, Ascorbic Acid and The Immune System” (thank you Esmée La Fleur) and the most likely culprit is competition for the insulin pathway. I have never had a serious weight problem and erroneously thought I was immune to Insulin Resistance. NOT TRUE! I had my HbA1c checked and I was 5.9. Again Bernstein recommends under 5 and 4.6 ideal. I have been LC since seeing my numbers. I noticed that when I take Vitamin C which is recommended for varicose veins…my blood sugar elevates by 10-20 pts. I had a busy day a few months ago and never took my vitamins…noticed perfect BG. I stopped for several months and my BG has stayed normal. I am considering 0 Carb to try to remove the last vestiges of IBS. Thank you all for the information and inspiration provided here. I believe that Stefansson and Anderson ate copious amounts of blubber/Fat from Seals, Walrus and occasionally even whale. I understand that Vit C is present in the blubber so that may have helped too. I presume you eat animal fat also? I encourage you to read Stefansson’s book The Fat of the Land. Do you think your histamine issues could be related to lack of Vitamin C? It looks like Vitamin C is an antihistamine. I wonder if you might try a very small amount of homemade sauerkraut (well aged, high vitamin c) or a supplement. Sauerkraut is high in histamines and will only exacerbate the issue unfortunately. I developed this intolerance on a diet high in vitamin C, so I don’t believe that is the cause in my case. But thank you for your suggestion. Actually, if the sauerkraut is fermented long enough, the histamines are metabolized by the bacteria and you are left with a pretty low histamine food. I’m sorry, I hope you get better. What do you think of raw milk? A lot of people love it and say the carbohydrates in it don’t have the negative impact on your system that other carbohydrates do. Also what about raw cheese and butter for calcium? I don’t do any better with carbs from dairy than i do carbs from plants; however, ypur experience may be different. The only way to find outnis to try it. Calcium is waynover rated amd we really don’t need anywhere near the RDA. I know many who have eating only meat for years and have no deficiency of calcium. The minerals in meat are highly bioavailable. Thanks for the reply. I guess i can just test it myself. Raw cheese and butter has no carbs i think. Weston Price saw that one of the tribes he observed used to use a special method to eat the bones of the fish they ate. I’ll see if i can find anything on the RDA of calcium being too high. I forgot to mention that the calcium thing wouldn’t surprise me much. They always talk about the importance of calcium for healthy bones, but they rarely talk about the importance of protein and vitamin d for bones. 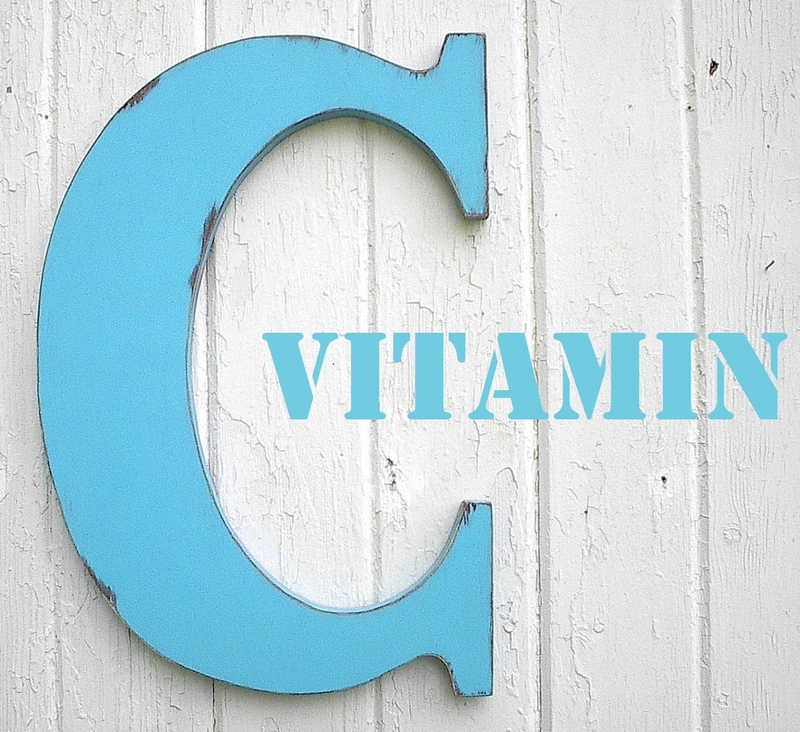 Sorry for asking something NOT about vitamin C, but… what about vitamin K1 ? Forgive me for taking so long to respond. This is the best resource I know of on the subject of Vitamin K in relationship to an all-meat diet. This was so informative .. thank you .. i want to try the meat and organ way of eating for health reasons .. and to gracefully go into my advanced age .. thanks again .. This is misleading, this is the mechanism of absorbing oxidized ascorbate, DHAA, not reduced ascorbate, AA. Different cells express different transporters and the majority of ascorbate is taken in by SVCT transporters which are active transporters using ATP and sodium. Thanks for your comment. I’m not a scientist and really have no idea. It would be nice to completely understand why an all-meat diet apparently does not require dietary vitamin C.
Please add me to your website’s email list. Paul – there should be a way for you to sign up for new posts to be delivered to your email inbox. You might need to be on a computer to do this though. Please let me know if you cannot find an option for this on my website and I will see if I can somehow add you. I’ve never been asked this question before, so I am not sure how to do it from my end. Love this site too . Just posting because posting allows me to sign up for the email notifications. I did sign up for comments & new threads on the ZCZen Salt thread & do seem to always get notifications of new comments on the Salt thread. But I am unsure if I am getting notifications on all the other threads, like this Vitamin C thread. I will see & let you know. I so wish there was a more active ZC site like this one used to be. Is there one? I really dislike Facebook, very awkward even to try to read (not participate), not to mention their ethics, but if it just was in a decent format & not so manipulating so one could really learn a lot, like this site provides , like this site’s format. Sorry to whine. I’m really confused by this one. Acidity sounds like a bad thing. Is this a benefit, that I don’t understand? Or is this the only item on the list that was a bad thing? I just started doing the carnivore thing a few days ago (after over a year of procrastinating), and I’m trying to soak in as much knowledge as possible. Thank you. There are quite a few long term carnivores now who have experienced no health problems as a result of an exclusive meat diet that it would appear to not be an indication of anything bad. I guess i’m just trying to wrap my mind around the whole thing. We live in a society where (most) people are convinced that meat is unhealthy and plants are necessary. So I’ve been sort of trying to reassure myself that what I am doing (alternate day fasting, eating nothing but beef, bacon, organs and – occasionally – eggs, drinking nothing but water) is going to help me in the long run. I completely understand. It goes against all conventional wisdom. Are you dealing with a specific health problem, or just trying to optimize your health? I’m mostly on it for weight loss and appetite control. I’m a lifelong yo-yo dieter, and I’ve heard that this can help break food addictions. I also deal with facial psoriasis, knee and ankle issues and tinnitus. If this diet helps any of those, that would be great. But, even if it doesn’t, if I just lose weight and gain a little energy, I’ll be plenty happy with that. The best thing to do is try it for 90 days and then see how your doing. Esmee, you mentioned “You would need to sign up for notifications under each article or post”. I’ll be doing that , sorry if it makes you check all the threads just be I posted. Love your site, thank you for it again, you help a lot of people.